Stand Up Paddleboards/Paddle Boards (SUP) a product from Surf Pro Designs. While SUP boards have been built for a while else where in the world, the Stand Up Paddleboard phenomena has now reached the waters of the UK, having been reported to currently be the fastest growing water sport to date, enabling all ages of would be riders whether near coastal areas or calmer waters to enter upon the wet stuff. 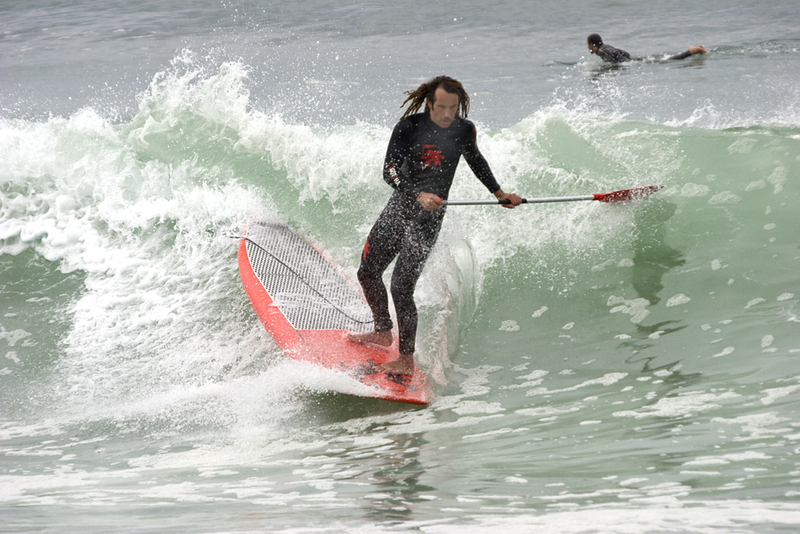 Surf Pro Designs are well placed in the market to produce Stand Up Paddleboards(SUP). Due to their potential size ranging from 9ft-14ft plus they need to be constructed from light weight core materials such as Styrofoam, Coolite/EPS or similar and skinned with foam, epoxy resin laminates. While some manufacturers are claiming this a new construction technique, Surf Pro Designs have in fact been constructing surf craft with this method for in excess of 40 years. Examples of this construction method as used on other Surf Pro Design boards such as Tandem and Tridem Sailboards (22ft), and Double Racing Paddleboards (18ft) which can may be viewed throughout this site. 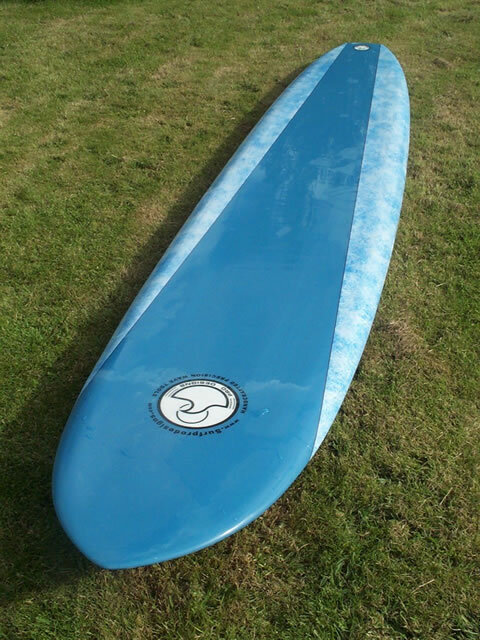 All boards at Surf pro Designs, including SUP boards are shaped (see workshop) and built using the highest quality materials currently on the market along with the experience of using these materials for over 40 years. SUP boards as with all craft built by Surf Pro Designs are custom made, "The rider has custom built what is needed, not what is in stock". Unlike many other manufacturers who currently spray paint finish their products, all artwork is placed under a hand polished resin finish, protecting that valuable artwork while totally sealing the board. This final method of construction will stand the test of time, being far more resilient to knocks, abrasions and dings. 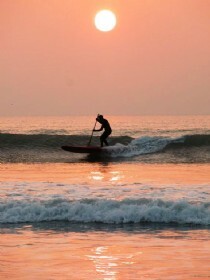 Weight of SUP boards depends on size but a typical 12ft 6" board will come in at 26lb –30lb depending on construction. Some advocates say light is right but equally there are those who like the weight, which ever you chose have fun. 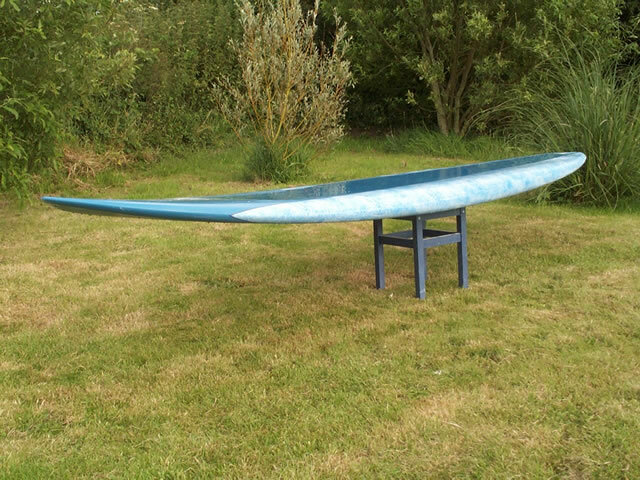 Please contact us for more information, complete the free quote form at the top of this page or enter The ABC's of SUP boards at the top of this page.